I just can't get enough of this set. It is so beautiful. The sizing and the font of the two larger greetings - thinking of you and you are wonderful - are amazing. I will be using these over and over in so many different ways. But it's not just the greetings, the images in this set are just so great. This is the perfect set for masculine cards. I have made probably about a dozen cards using this set and there is only one that is a bit too feminine to give to a man. That means I've added 11 cards to my masculine card collection and you know how difficult those can be to make! And you know what makes it even better? It's a great set for scrapbooking too. You can see one of the layouts I've created using the Nature's Poem bundle here. I love the look of layering a two of the same shapes but one of them stitched. The greeting is cut from one of the layering ovals but then mated on a stitched oval just a bit larger. I love how it looks. The other thing that I want to point out on this card is the mint macaron twine (which is from the natures twine) is separated. I've found that it's a bit on the bulky side, for a card, when you tie it in a bow. So I've started separating 2 or 3 strands to tie my bows and it works perfectly! You will be seeing lots more projects with this suite of products in the next few weeks. If you'd like to come play with it, be sure to join us at next weeks card class where we will be making 4 cards using it! You'll find all the details towards the bottom of this post. But here's a little peek at the cards. Hope you can join us on the 14th! One of my favorite suites from the new catalogue is the Nature's Poem suite. 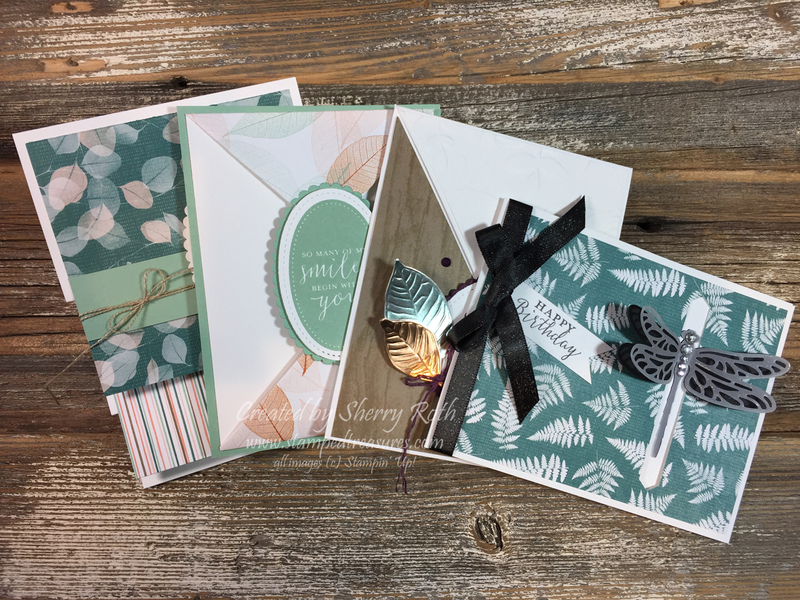 This suite is so versatile - and great for many different occasions. 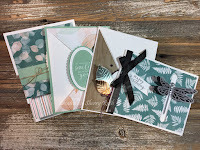 Join me at June's card class where we are going to create 4 cards using it, including a Father's Day card. Cost is either $20 or free with a minimum $35 purchase made in class (before shipping and tax). Can't attend? Get the class to go! Are you anything like me and get tired of doing a simple fold when making cards? If you are, then you are going to LOVE this class. We will be learning 4 new fancy folds. 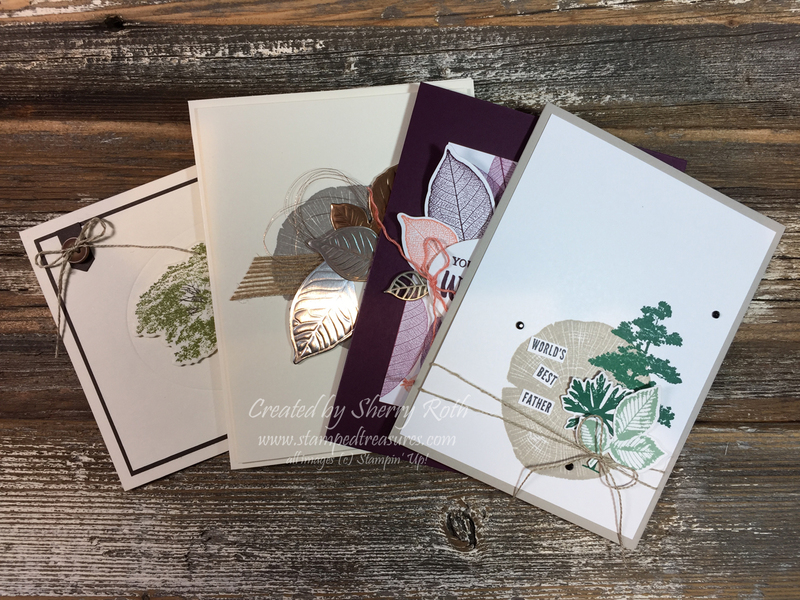 Come step up your card making game and learn something new. Cost is $20 or free with a minimum purchase of $35 made in class (before shipping and tax). Deadline to register is July 9th.